Danielle Amethyst Brake is an Assistant Professor of Mathematics at University of Wisconsin-Eau Claire. She joined the faculty in August 2017, coming from Notre Dame as a postdoctoral researcher, and Colorado State University where Danielle did her PhD. Danielle is excited about teaching and learning programming and applied math and statistics. 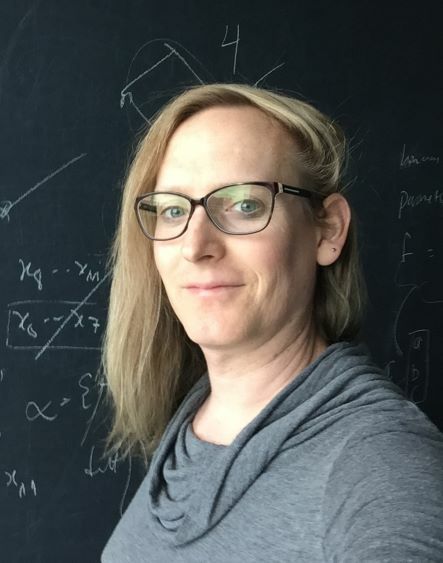 Her new research direction is applying Data Science theory and techniques to software for the numerical solution of systems of polynomials.